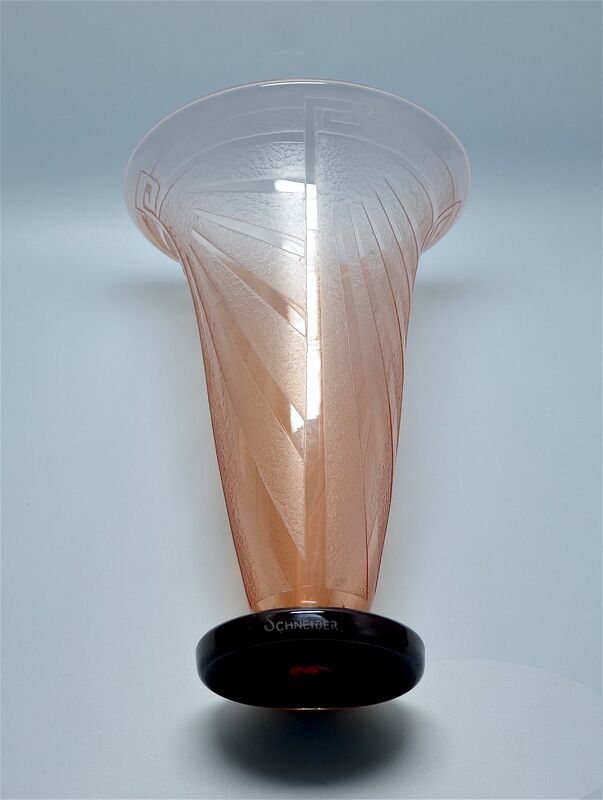 This beautiful vase was made by the French company Schneider during the Art Deco period c. 1928-30. 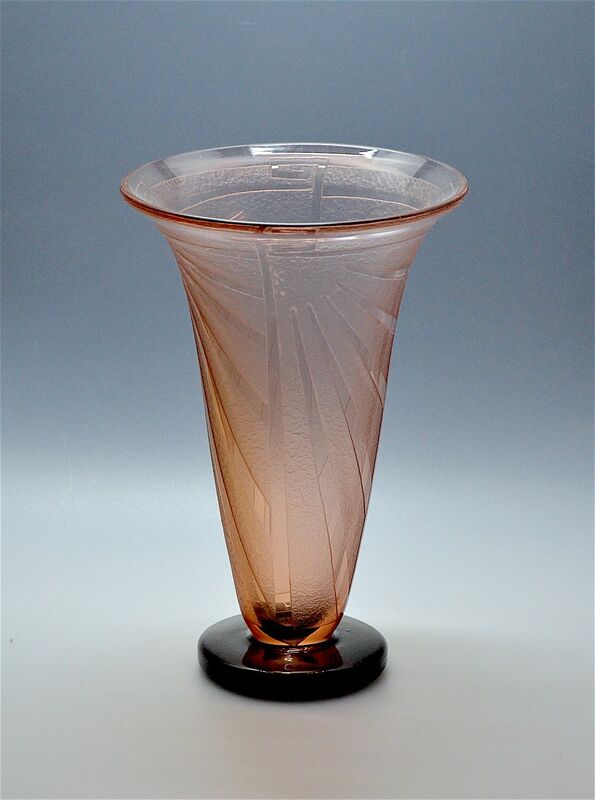 The vase has a round dark amethyst foot leading to a peachy/pink trumpet shaped vase that has an acid etched geometric pattern know as "Luxor". 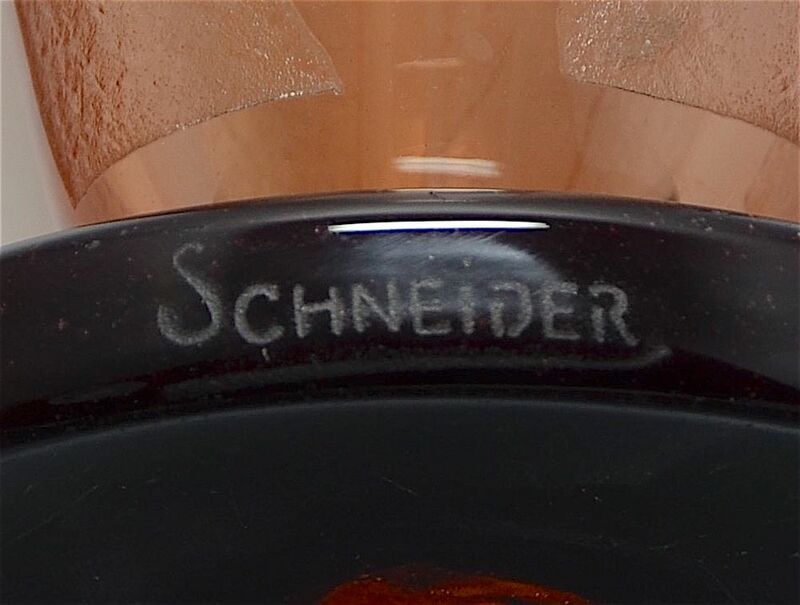 The foot is signed "Schneider" in capitals. A lovely vase and a fine example of Schneider's work.